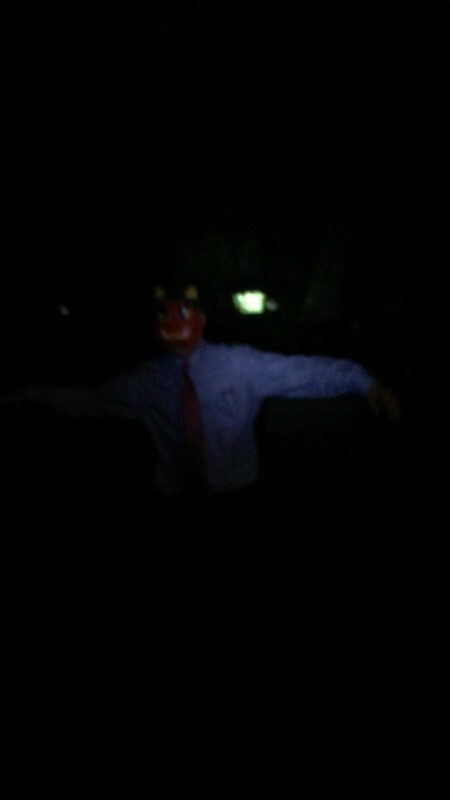 The mask of the oni. One of the nice things about living in different countries is the opportunity to learn about the local traditional customs and folkloric celebrations. In many Asian countries, February 3 is celebrated as the end of winter and the start of spring. Here in Japan it is known as setsubun, and it is the day before the first day of spring. I always try to understand the local customs by experiencing them first hand and respect the local beliefs and traditions. I didn’t know that besides dividing the year up into the two solstices (Dec 21 / June 21) and two equinoxes (Sept 21 / March 21), the ancient Chinese further divided the calendar into smaller sections. This helped farmers know when cold or hot temperatures were expected and to predict the levels of precipitation. February 3 is the end of one of those smaller divisions. 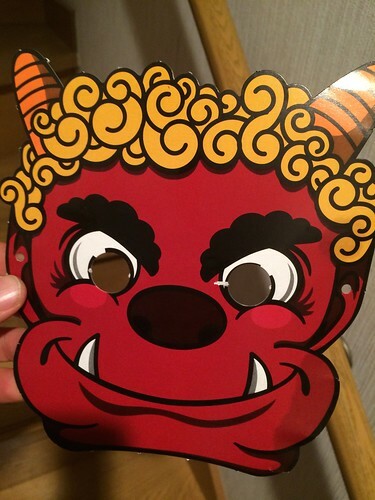 As with much of Chinese ideas, neighboring countries adopted and adapted them to their cultures, hence, setsubun. Tuesday evening our family each ate the roasted beans, the number of beans depending on our age. I had a tough time after dinner consuming 47 of them. This is supposed to give us a year of good health. Since 2015 is my Japanese zodiac birth year, the year of the sheep, I put on the oni, which represents evil spirits. Nadia put on the good fortune mask, although we didn’t know until the next day that it was good fortune. The kids throw the beans at the oni, saying out with the bad spirits of winter and in with the good spirits of spring. Oliver of course, got carried away with banishing the oni and threw the beans a bit too enthusiastically (see video below). Next year we hope to go to a temple to see the official ceremony and to eat the famous Osakan “lucky direction” sushi rolls which we did not do this year. 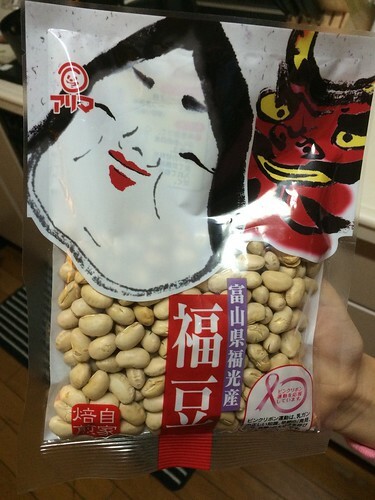 Supermarkets conveniently had kits with roasted beans and masks for people to take home.